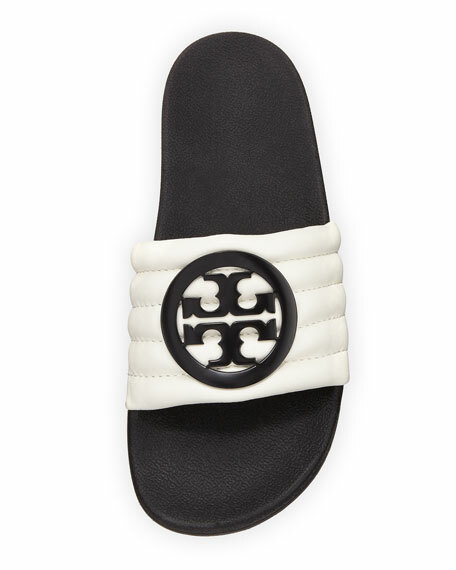 Tory Burch two-tone leather sandal with padded upper. "Lina" is made in Brazil. 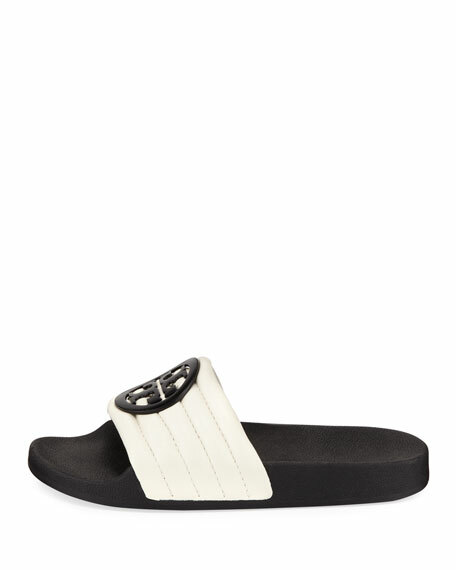 For in-store inquiries, use sku #2466886.